I’ve been planning this blog post for a while because there’s a brilliant new brand coming to the UK that I’m dying to tell you about…but it hasn’t arrived yet so I can’t share it with you just now. However, as I just stumbled upon something completely amazing, I felt I should share it with you right away rather than wait. Really guys, this is AMAZING. Are you ready? Free People is doing shearling lined Arizonas. 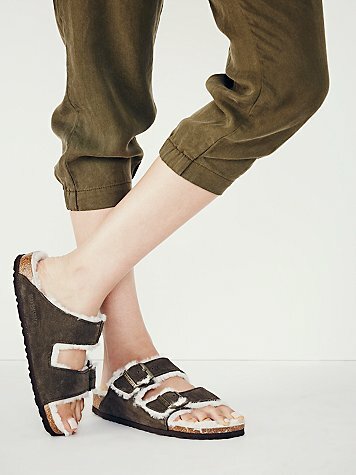 If, like me, you have spent ALL SUMMER in a non-shearling lined pair of these, you’ve probably been wondering what on earth you are going to do without them when the mercury drops. Wear socks? (I’ve tried it – it doesn’t go down well with most people) No, this – apart from the rather inflated price tag – is the perfect solution! Well, until it gets really cold, but that’s where the other new exciting brand I can’t tell you about comes in, so watch this space. 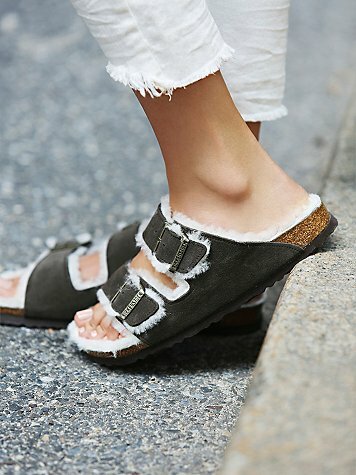 This reminded me of another pair of snuggly sandals I spotted recently. 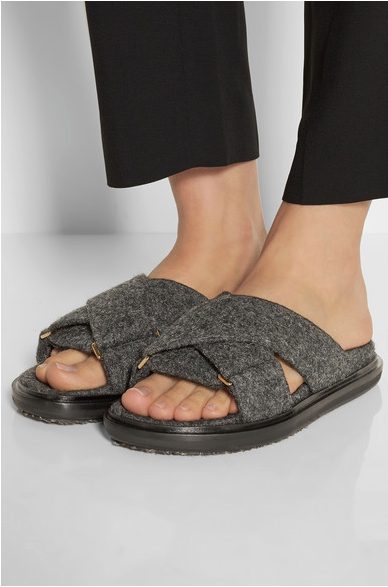 Marni (another of my favourite brands) has been making this style of sporty sandal for a while – I have a pair in a vivid tile print – but in this lovely grey felt you’d get a bit of extra warmth until winter really kicks in. At which point, I’d pair them with grey ribbed tights. Hopefully these will end up at Bicester Village next season, as that’s where I buy all my Marni shoes once they’re past season and half the price. 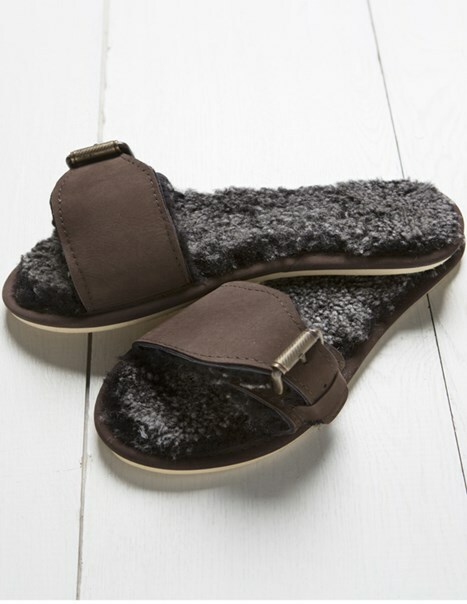 At the cheaper end of the spectrum, Celtic & Co also has a shearling sandal at just £45. So if you’re more of a single strap kind of girl, these might be the ones for you. They look the warmest of the lot, too!